This is very important in assisting your Newark optometrist to detect and measure any changes to your retina each time you get your eyes examined, as many eye conditions, such as glaucoma, diabetic retinopathy and macular degeneration are diagnosed by detecting changes over time. 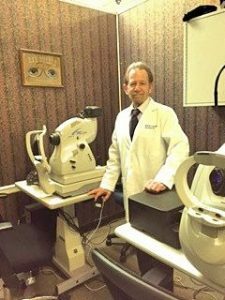 Digital Retinal Imaging allows our eye doctor in Downtown Newark to evaluate the health of the back of your eye, the retina. It is critical to confirm the health of the retina, optic nerve and other retinal structures. The digital camera snaps a high-resolution digital picture of your retina. This picture clearly shows the health of your eyes and is used as a baseline to track any changes in your eyes in future eye examinations.